Seven miles of single track with little elevations gain perfect for less experienced riders or pros looking for a bit of speed. Mostly flat trail but with a few features and jumps. 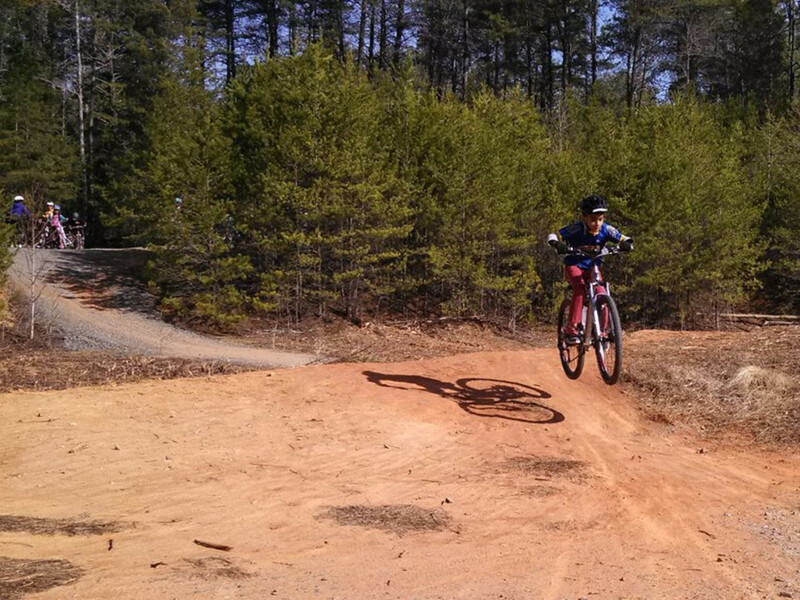 At 7-ish miles, the single mountain bike trail system at Col. Francise Beatty park isn’t as long as others in the Charlotte area. But the sometimes tight, mostly flat single track in the southern edge of the Queen City is a fast, fun ride. The natural surface trail can get a bit sandy in parts, making for a different kind of feel than the harder packed trails at the USNWC. And a few jumps and bridge features add enough variation for experienced riders. The Tarheel Trailblazers are amazing. 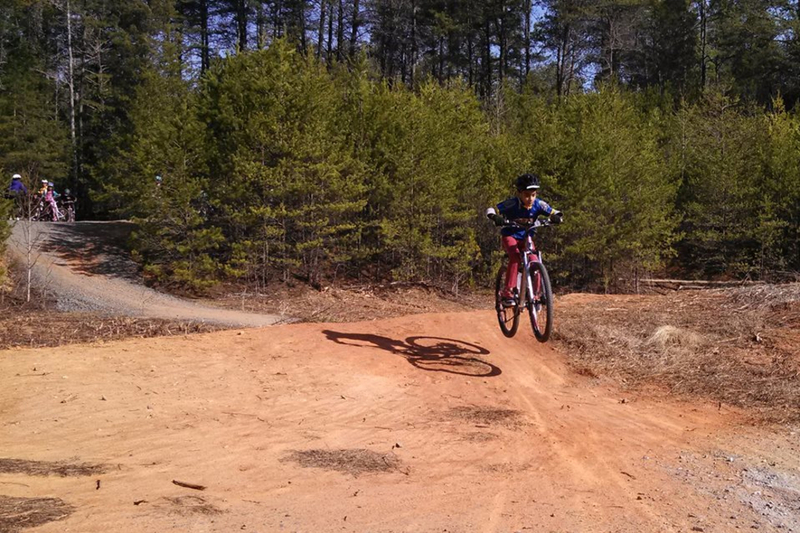 The Charlotte-based mountain bike club has created and continue to maintain, a hundred some miles of single track trail around the Queen City. The all-volunteer staff are the driving force behind Charlotte’s growth into a mountain bike town. In the farthest southern reaches of Charlotte, on the grounds of Col. Francis Beatty Park, the Trailblazers work is obvious. The seven mile trail system to winds through the forest grounds here are kept pristine. While not blessed with rolling hills or creek ravines that provide topographic differentiation on other trails, trail designers make the most of the generally flat terrain. The trails are manageable by just about any level of rider. But a few jumps and some optional bridge features, as well as some tight turns and rocky, rooty areas, are enough to keep experienced riders interested as well. The park also features basketball and tennis courts, sports fields, and picnic areas. Lots of new riders head to Col Francis Beatty park for their early rides. The jumps and dips can be avoided or walked around and most of the mileage is fairly tame. Since the large park has so many amenities, families also frequent Francis Beatty. The trails are multi-purpose so expect to see walkers and joggers on the trails as well. Park trails are open from dawn till dusk. There are bathroom facilities and drinking fountains on site. To access the trails, park near the basketball and tennis courts. The trails are multi-use, so remember trail etiquette – announce your approach to slower movers and give way to faster movers. Helmets are important on these trails.